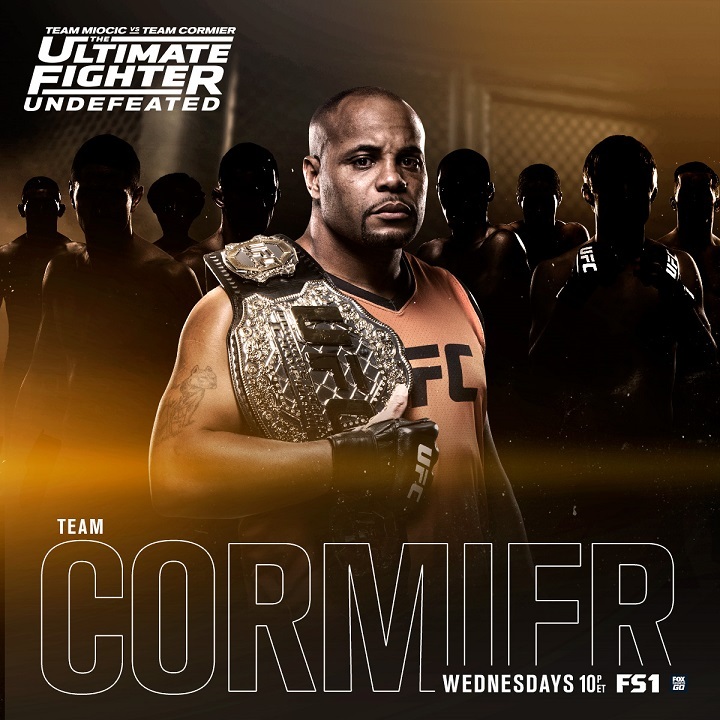 It was a good start to the competition for Team Cormier on The Ultimate Fighter: Undefeated, after the light heavyweight champion's first fighter up, Joe Giannetti, got an impressive win to kick off the tournament. Giannetti made quick work of Team Miocic fighter John Gunther last week with a guillotine choke submission in the first round. It was a particularly tough loss for heavyweight champ Stipe Miocic, because Gunther is actually one of his teammates at his home gym back in Cleveland. To pick up the pieces, Miocic got to select the next fight in the competition, and he chose Kyler Phillips to take on Team Cormier's Brad Katona in the first featherweight matchup of the season. Before the fighters get into training this week, Miocic will kick off the time honored tradition of pranking his fellow coach as he goes after Cormier and his locker room in what will undoubtedly become a back and forth war as the season progresses. Pranks have been a part of The Ultimate Fighter almost as long as the competition, and while things have gotten out of control more than a few times - Josh Koscheck and Bobby Southworth going after a passed out Chris Leben in season one comes to mind - lately things have been toned down a bit. Miocic's prank will definitely be a funny one, but it's impossible to say what Cormier will do in his first attempt to fire back at the heavyweight champion. Elsewhere this week, as training begins to ratchet up in anticipation of the next fight, the first real clash will take place between fighter and coach as Cormier ends up at odds with one of his athletes. The unique part about The Ultimate Fighter is that every season, 16 or so athletes are dropped into a house and selected on to teams with coaches that most of them have never worked with before. 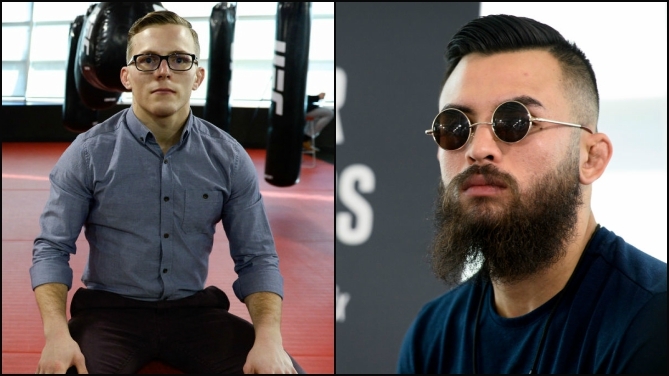 At this level of the game, most fighters have a dedicated coaching staff at home that has helped them get to the point where they can make it to The Ultimate Fighter, so it's not that unusual to imagine that there will be a clash of personalities between the coaches and fighters from time to time. Cormier has been a coach for his entire mixed martial arts career after growing up on the wrestling mats while working under John Smith, who is arguably one of the greatest coaches in wrestling history. Cormier then took on a coaching role at American Kickboxing Academy, where he routinely helps fighters like Cain Velasquez and lightweight champion Khabib Nurmagomedov get ready for upcoming bouts. Needless to say, Cormier knows what he's talking about when it comes to coaching, but that doesn’t mean every fighter is going to listen, and that will show through in one particular incident that unfolds during the next episode. As far as the fight goes this week, it's a very interesting matchup between Phillips and Katona, as both fighters bring in a unique and somewhat similar skill set while working under phenomenal teams at home. Katona is Canadian by birth and spent his formative years in the sport training in his hometown of Winnipeg, but he recently packed up his belongings and, along with his girlfriend, moved to Ireland to begin training with the SBG team in Dublin. Of course, that team is home to "The Notorious" Conor McGregor and a laundry list of other UFC athletes, past and present, with head coach John Kavanagh leading the way. Katona felt like it was time to up his training as he got deeper and deeper into his career, and now he lives in Dublin full-time to focus on fighting. With a 6-0 record, Katona started his career as primarily a submission specialist but, as time has passed, he's started to develop a very well rounded skill set that not only includes wrestling, but he's also added a striking arsenal to his bag of tricks. While he was training to become a professional fighter, Katona finished college and actually holds an engineering degree, so he's got a very analytical mind, which helps him in preparation for his bouts as he's able to dissect an opponent and figure out where his best chance to win lies. On the other side of the Octagon stands Kyler Phillips, who has been training in martial arts since the time he was three years old. Phillips grew up in California with a father who started doing Brazilian jiu-jitsu and, before long, he was taking his young son along with him to spend some time on the mats. Much like his dad, Phillips fell in love with grappling and started training all the time before eventually transitioning to mixed martial arts. Now, Phillips has built a 5-0 record, and if he looks familiar beyond his appearance on The Ultimate Fighter that's not a mistake. Just before joining the show, Phillips appeared on Dana White's Tuesday Night Contender Series, where he earned a stunning 46-second TKO against James Gray Jr. While that win didn't ultimately earn him a contract in the UFC, it obviously piqued enough interest to give him a shot on The Ultimate Fighter, and now he'll try to make the most of that opportunity with his first bout on the show this week. Phillips will attempt to get Team Miocic on the board for the first time while Katona will try to keep the momentum rolling for Team Cormier after picking up a quick win last week to kick things off. Can Katona put Cormier up 2-0 in the competition or will Phillips help get the heavyweight champion his first win in the tournament? Tune in to the next episode of The Ultimate Fighter: Undefeated tonight at 10pm ET on FS1 to find out.